My 3 year old son wanted to use scissors so I went to the bookstore to look for a kiddie scissor. Luckily Maped have a scissor especially designed for kids 2 years old and up. 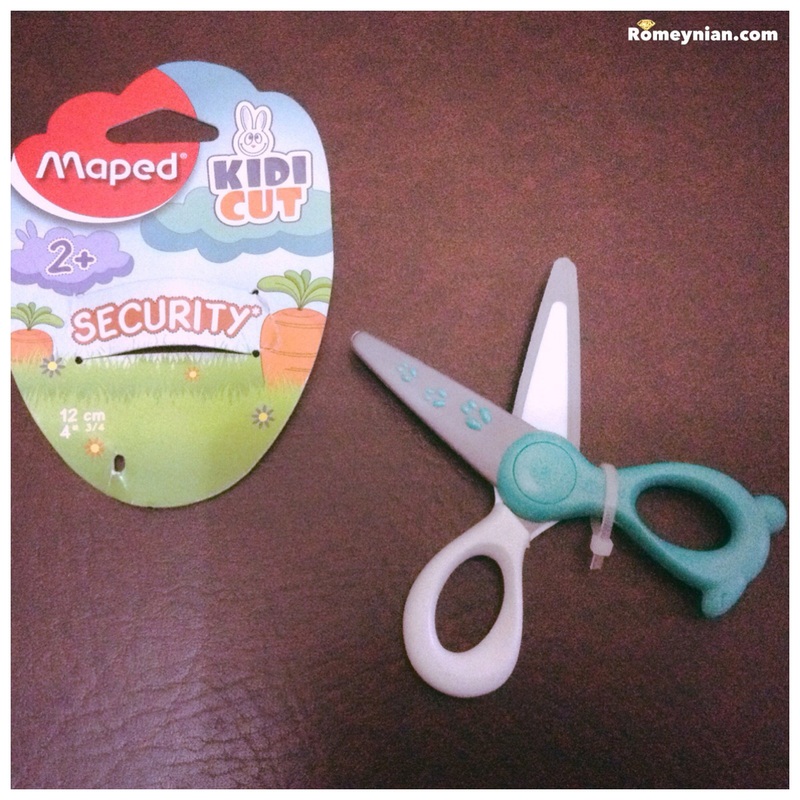 The Maped Kidi Cut Scissor is a toddler friendly / children friendly scissor. It is made of fibreglass so it only cuts paper. It doesn’t cut the skin, hair, or clothes. Plus it has a cool rabbit design!